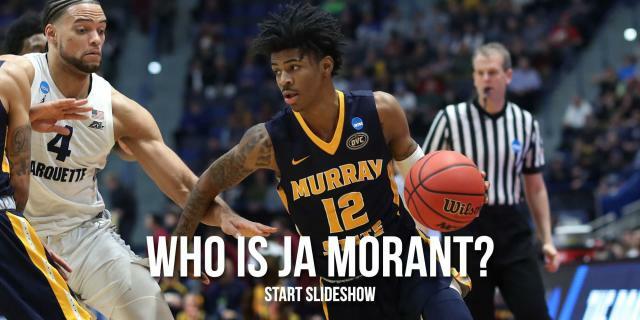 Ja Morant put on a show Thursday in the NCAA tournament. In his 2019 March Madness debut, Murray State’s sophomore star registered the tournament’s first triple-double in seven years. He led the 12th-seeded Racers to a blowout of Marquette. And, in doing so, he sent his NBA draft hype train into overdrive. Morant spent most of the season rising up draft boards, into top fives, and for many to No. 2 overall, behind Zion Williamson. After Thursday’s show on the big stage, some fans wondered whether he should rise to No. 1. And would you really argue otherwise after Ja’s performance today? Should Ja Morant vs. Zion Williamson be a debate? In reality, yes. You should. Williamson remains the most impactful college player, and the clear frontrunner to go No. 1 in June’s draft, no matter who wins May’s lottery. Morant is outstanding. Zion is transcendent. The chief argument for Morant is his position. Not necessarily that he’s a point guard, and that point guard is the most important position in the league. More so that he has a position at all. It’s not entirely clear how Williamson will fit into an NBA lineup. It is clear that Ja will be a lead, ball-dominant guard who can do what he’s doing at Murray State: Create for himself and others. But that’s an antiquated way to think about the sport. There is no one position for Zion because the NBA, and indeed the world, has never seen a player with his skill set. If a team or a coach can’t make use of his superhuman skills, it has other problems and he should be fired. 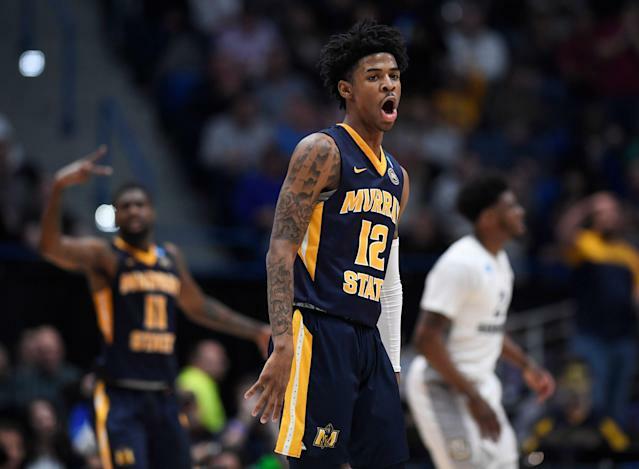 But a Morant NCAA tournament run could cement the Murray State sophomore at No. 2. One remaining source of skepticism is the weak competition of the Ohio Valley Conference. Picking apart Marquette helped quash some of it. But Marquette was a mediocre defensive team, and Markus Howard an average defender. Following up Thursday’s performance with a similar one against Florida State on Saturday would help a lot more.